Medium to short growth period Cape cultivar with high yield potential for Western Cape. 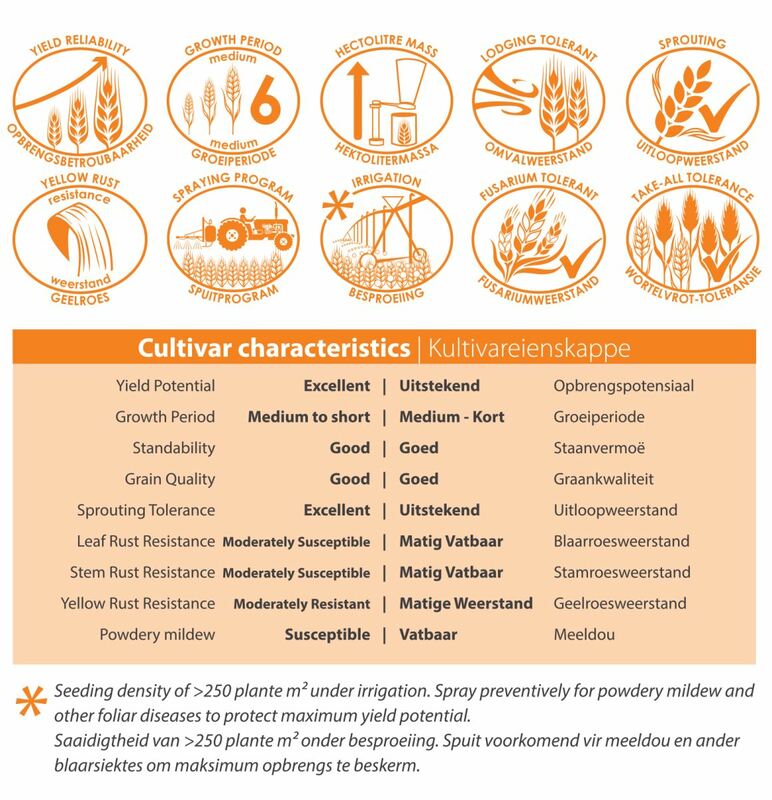 • Moderately susceptible to stem and leaf rust, and moderately resistant to stripe rust. • This well-known Sensako cultivar has been commercially available since 2011. • Days to heading under normal conditions is +- 6 days later than SST 015. • Early maturing, widely adapted cultivar with high yield potential. • Well adapted for drier areas where newest planter technology is used in conservation tillage systems and short growth period cultivars generally perform better.